Click here for the Advanced Flow Diagnostics Laboratory (AFDL)! Dr. Brian Thurow is the W. Allen and Martha Reed Associate Professor in the Department of Aerospace Engineering at Auburn University. He received his B.S. (1999), M.S. (2001) and Ph.D. (2005) from The Ohio State University. Dr. Thurow has taught classes in aerodynamics, propulsion, dynamics, light-field imaging, optical diagnostics, flow imaging, compressible fluid dynamics and turbulence. He has served at the department level as the AIAA Faculty Advisor, Graduate Program Officer and is a strong advocate for undergraduate student involvement in research, which has resulted in numerous research paper awards for undergraduate students under his supervision. At the college level, Dr. Thurow is the founding chair of the graduate student recruitment and fellowship committee, which established a new fellowship and recruitment program in the college and he is the founding faculty advisor for the council of engineering graduate students whose mission is to promote the development and enrichment of the graduate student experience within the college. 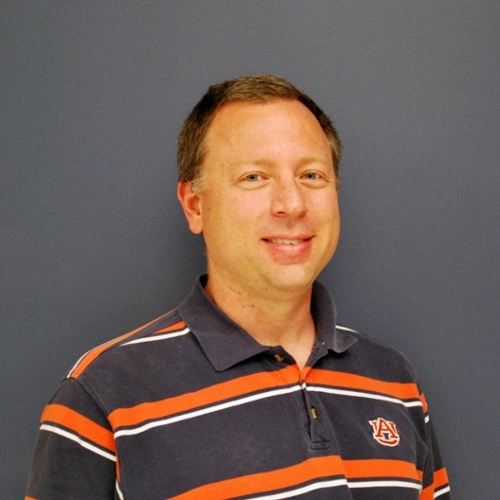 Dr. Thurow established the Advanced Flow Diagnostics Laboratory at Auburn University in 2005. His research has focused on the development of high repetition rate (order 1 MHz) optical diagnostics for turbulent flow measurements and, more recently, the development of plenoptic camera technology for 3-D flow visualization. His research has been sponsored by the Army Research Office and Air Force Office of Scientific Research, both of which started with Young Investigator Program grants, as well as the Office of Naval Research and National Science Foundation. In addition to advanced optical diagnostics for fluid dynamic measurements, Dr. Thurow is also interested in aero-acoustics, aero-optics, flow control, turbulence and compressible flows. Dr. Thurow has received numerous awards including the SGA Outstanding Faculty Member Award in 2006, 2008, 2009, 2012 and 2013; the AIAA Most Outstanding Faculty Member Award in 2009, 2012 and 2013; the William F. Walker Teaching Award for Excellence in 2009; the Auburn Alumni Engineering Council Research Award for Excellence in 2009; and the Provost’s Award for Supporting Graduate Scholarship in 2011. Dr. Thurow is serving as a co-PI on a major grant that recently received a $2.7 million award. The collaborative project is being funded by the Air Force Office of Scientific Research and is focused on studying 3D shock boundary layer interactions. He has also recently presented a webinar entitled “Plenoptic Cameras: The Future of Imaging” that summarizes major research efforts underway in the laboratory. The webinar, which lasts less than one hour, and can be viewed here.